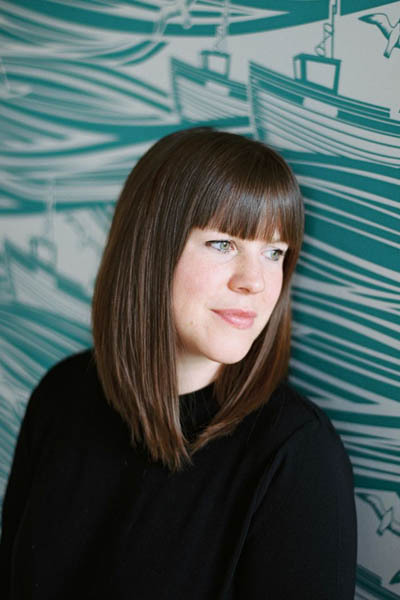 I’m very excited about today’s post because I have joined up with the wondrously talented Charlotte of Lotts and Lots blog, to start a new monthly blog series, Styling the Seasons. This is doubly exciting because the series is about getting you, our lovely readers, involved! Charlotte and I discussed how easy it is for a few months to pass without even realising it, unless you spend a lot of time outside and see the changes in nature. We also talked about how the interior of many homes stay the same all year round, except for the odd bit of tinsel at Christmas time. We would like to challenge ourselves, and you, to reflect more on the change of seasons and show those changes in our own homes, which in turn will help rejuvenate our homes. We want you to choose any surface in your home (shelf, dining table, mantelpiece – it can be a different surface each month) and style that surface with anything you like to reflect the new month and what it means to you and the promise it holds (relaxation, celebrations, family, nature). For example, for me, September always represents new beginnings and my styling will definitely involve new stationery, which is a MUST for the start of a new school year (so deeply engrained after being a student and teacher my whole life). We would love it if you joined us and styled a surface in your home for September (this does not mean you are obliged to take part every month – just join in as and when you feel like it) and Charlotte and I will do the same and share a photograph of our styling on our blogs on September 1st. 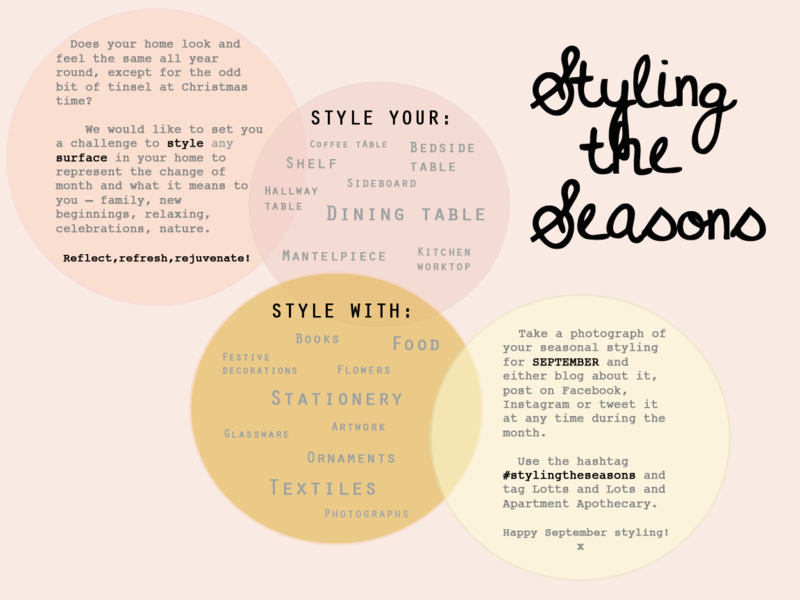 Please take a snap of your styled surface and post it on Facebook, Instagram or Twitter (or blog about it if you have a blog) and use the hashtag #StylingTheSeasons and tag both me and Charlotte – you can do this on any day during September. You might want to add a little explanation about how your styling represents the month for you. This way we can find out a bit more about each other along the way. If you don’t think you have the time/know how/motivation to join in, then we hope you get inspiration from all the wondrous bloggers we have got on board to take part as we know styling can be the most difficult and daunting part of making a home. Just search for the hashtag #StylingTheSeasons and Charlotte and I will share our favourites on our blogs at the end of each month. Sooooo excited to see your pics for SEPTEMBER!